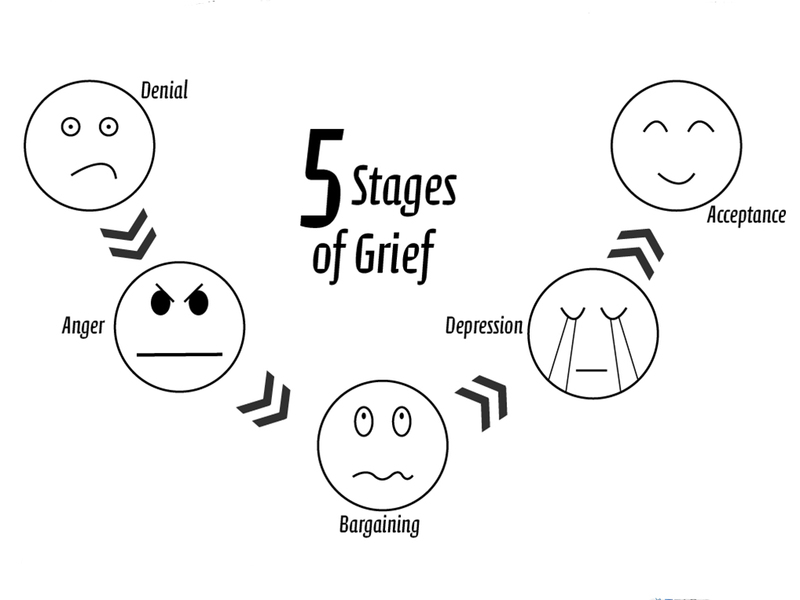 There are several stages of grief that people go through that have been identified by various researchers. Once commonly used stage theory is one identified by Kübler-Ross (1969). Originally, The Kübler-Ross model, or the five stages of grief, speaks about a series of emotions experienced by terminally ill patients prior to death. Kübler-Ross later expanded her model to include any form of personal loss, such as the death of a loved one, the loss of a job or income, major rejection and the end of a relationship or divorce. Denial: The person left behind is unable to admit that the relationship is over. They may continue to seek the former partner’s attention. Anger: The partner left behind may blame the departing partner, or themselves. Bargaining: The partner left behind may plead with a departing partner that the stimulus that provoked the breakup shall not be repeated. Example: “I can change. Please give me a chance.” Alternatively, they may attempt to renegotiate the terms of the relationship. Depression: The partner left behind might feel discouraged that their bargaining plea did not convince the former partner to stay. Acceptance: Lastly, the partner abandons all efforts toward renewal of the relationship. 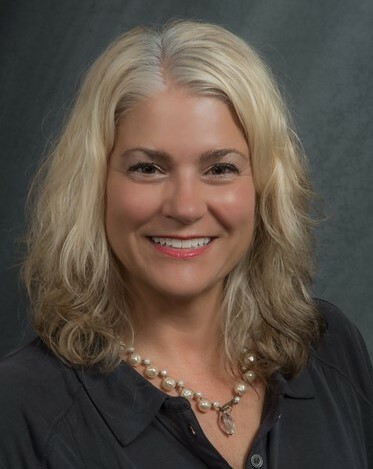 As mediators assisting people with their divorce process, the stages of grief people experience are present in the room and outside of the session. Understanding these steps as a professional can help in facilitating what each person needs emotionally. It is very common that two people are different stages of grieving, but nonetheless, both parties are grieving one way or the other. For example, the spouse who has made the decision to divorce may have been processing their loss for a long time, they have accepted the end of the relationship in Stage 5 and may display different emotions than the spouse who is “being left”. The spouse being left may be in denial at Stage 1, and is not ready to let go. 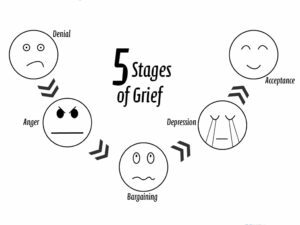 The spouse in Stage 1 may display much more emotion while the spouse in Stage 5 may appear apathetic to the other as they have already done much of their grieving. The acceptance stage can present as apathy and can be a cause of anger from the other person. How people handle their grief may be very different depending on not only where they are in the step process, but also how they cope with their grieving and what mechanisms they have in place. Some people keep it all bottled up inside, while others let it all out. For people struggling with the divorce process and the loss, therapists are an excellent resource for people going through the divorce process and can often compliment the mediation process. For more information on the mediation process, please contact The Mediation Center at 585-269-8140.